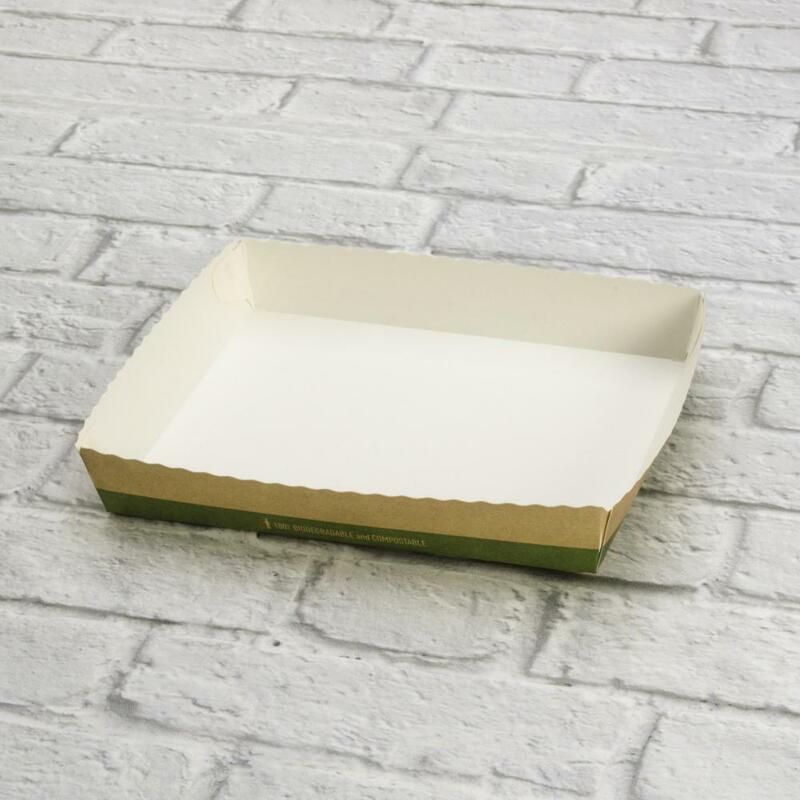 Tray multipurpose 18x15x3 cm biodegradable and compostable. Italian professional product in cardboard coupled with bioplastic film. Havana color. The container is made of sturdy cardboard of pure cellulose hot coupled to a PLA film 260+25 g/m2. Products can contain cold and hot up to 70 °C. Suitable for contact with any food as required by Italian, UE and international standards. Totally biodegradable and compostable according to EN13432. This environmentally friendly product, sold on Ecobioshopping, it can still be recycled in the container of recycling paper. If mistakenly dispersed in the environment degrades naturally without a trace.